Samputensili is looking forward to meet customers and partners at IMTEX 2019 in Hall 4, Booth B120. The show will take place at the Bangalore International Exhibition Centre (BIEC) from 24 to 30 January, 2019 in Bengaluru. The Italian company is eager to show the results of its constant strive for precision and excellence, in an effort to make customers’ manufacturing more reliable and efficient. The highlight of the booth will be the Samputensili G 160, an innovative gear grinding machine that the company is very proud to launch in India. The G 160 has been especially designed and manufactured to fit the requests of the automotive market, which is focusing on high performances and excellent quality. The Samputensili G 160 features a new concept for the high-productive grinding of gears up to 160 mm diameter with double work spindles, where separate X1 and X2 axes, driven by linear motors, replace the typical rotary turret, enabling a faster workpiece change and a record-breaking chip-to-chip time of less than 2 seconds including meshing, synchronization and simultaneous repositioning of the tool. This unique, patented machine concept ensures the best production times currently on the market. In addition, a wide selection of gear cutting tools manufactured by Samputensili and its American partner Star SU will be on show as the perfect complement for customers’ most demanding manufacturing tasks. A special highlight among them will be the brand new INNOHob®, an innovative gear hob that combines a very low surface roughness with a dedicated cutting-edge geometry, ensuring an improvement of the tool life of up to 80% compared with the standard hob technology. 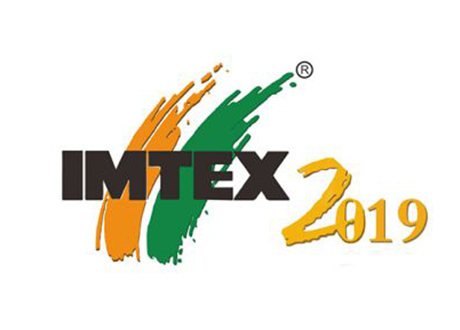 Click here to know more about the IMTEX 2019!